In this modern update, the kid in question is Alex (Louis Ashbourne Serkis). On the surface he’s an average, unremarkable kid, but deep down, he has a heart as strong and brave as a lion. He has no fear when standing up to the older/bigger kids who bully him and his one and only friend, Bedders (Dean Chaumoo), and takes comfort in a mother (Denise Gough) who only wants what’s best for him. After Alex is chased into a construction site by said bullies, Lance (Tom Taylor) and Kaye (Rhianna Dorris), he discovers a sword wedged into a large piece of concrete stone. Curious, he attempts to pull it out… and succeeds. With a little help from Bedders, the two kids have fun imagining that the sword is the one from Arthurian legend. Neither take it seriously, though, until a new kid, Mertin (Angus Imrie), posing as a new student in the kids’ school, stalks Alex throughout the day. 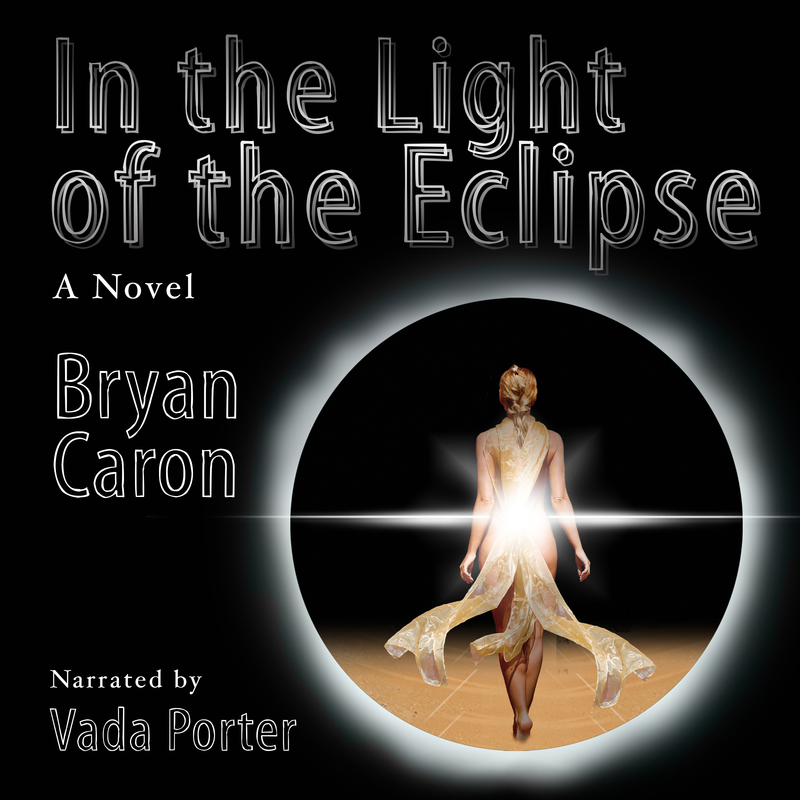 This coupled by an attack by a fire demon that same night leads Alex to begin to believe that he has in fact acquired the real Excalibur and that he must fight the evil that will be unleashed upon a total eclipse of the sun. His quest? Track down the entry into the underworld and defeat Arthur’s half-sister Morgana (Rebecca Ferguson) before the eclipse, when she will have enough power to rise from the depths and take the sword for herself. He’ll need help, though, so he knights Bedders, Lance and Kaye, all of whom must put their differences aside in order to ban together and defeat the darkness. The Kid Who Would Be King is a slightly mixed bag, combining some very good elements with a sense of kid-friendly goofiness that sometimes feel out-of-place within the world. There’s a fine line between making a kids movie that includes plenty of playfulness but still feels rich and authentic, and making one that only five-year-olds could love. This film occasionally diverts into territories of the latter, and knows it, because whenever it does, director Joe Cornish quickly course-corrects back to the former. 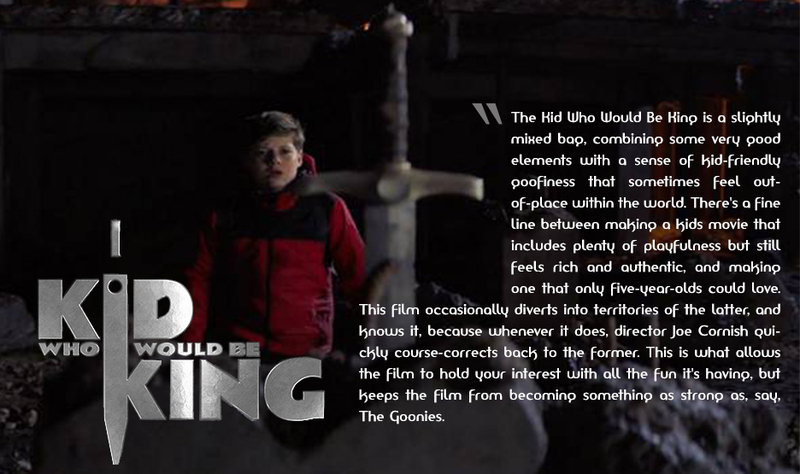 This is what allows the film to hold your interest with all the fun it’s having, but keeps the film from becoming something as strong as, say, The Goonies. Mertin is a great example of this dichotomy. The character is actually the younger representation of the wizard Merlin (Patrick Stewart), who disguises himself as a young kid to get close to Alex. As played by Imrie, the character is light and fun, and there’s no question that anyone would want to take a journey with him into new realms and quests. However, there are moments throughout where he becomes a slight joke of himself, straying too far from a relatable character into cartoon territory. But, because of Serkis and Chaumoo, who carry the film with a fun, grounded chemistry, you’re able to accept those more exaggerated elements as part of the world being created — something Cornish does quite well. This is especially true in the case of the mythology and the rules he sets up. In one instance, it’s revealed that when the fire demons enter our world, everyone except for the one with the sword and his knights disappear. This idea is terrifically executed in various ways, showing us how strong the film could have been had Cornish kept the film from straying as far into immature circumstances as he sometimes does. Cornish also falls a little short on the weight of the fight sequences. He has strong ideas that play out well, but then can’t seem to fully deliver at the end of each one. Whether it ends too abruptly, or is completed with very little fanfare, he more often than not gears you up for excitement only to slam on the brakes without warning (or at the very least, doesn’t go to the lengths that he originally sets up). In other words, what’s presented is well-done, but there isn’t any emotional journey throughout to allow us to rise and fall naturally. When they action is over, it doesn’t feel like it should be over, as if he wasn’t sure what to do, but they have to end somewhere so they can move onto the next piece of the quest. No way is The Kid Who Would Be King on the same level as Harry Potter or Star Wars. However, as a kids movie, it does what it sets out to do and the journey is one that holds your interest enough to get past the silliness and enjoy the view of a kid becoming something greater than himself. And in that, the lessons learned are ones all kids should aspire to. Next week, new movies include Miss Bala. If you would like to see a review for this, or any other film out next week, please respond in the comments below. This entry was posted on January 27, 2019, 3:27 pm and is filed under Entertainment, Film, Movies, Reviews. You can follow any responses to this entry through RSS 2.0. You can leave a response, or trackback from your own site.